The Primary Peach: Sweet Treats for February: A Black History Month Freebie! Sweet Treats for February: A Black History Month Freebie! Hi guys! It's Lyssa from My Mommy Reads here to wrap up February! This month has gone by WAY too fast! As a mom and teacher, I'm looking for a way to slow time down! I have an idea to share for Sweet Treats and it came straight from my students! February is technically Black History Month, but in my classroom, we celebrate important people from history all year! 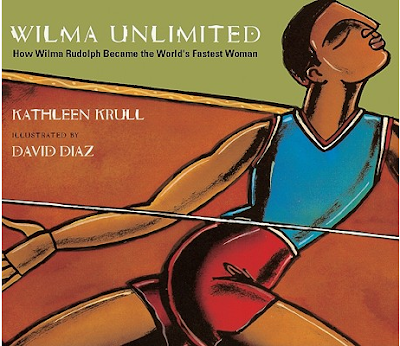 One of my favorite books to read early in the school year is this one, Wilma Unlimited, How Wilma Rudolph Became the World's Fastest Woman by Kathleen Krull and illustrated by David Diaz. If you are not familiar with this amazing story, click below to hear it being read aloud. It is a treasure. Wilma's story is amazing and we can all learn from her strength and perseverance. I read it with my first graders as our extended text over a weeklong period. They hang on every word! After several students asked to borrow the book to take home, I decided to create a little something for them to use to record their thinking. 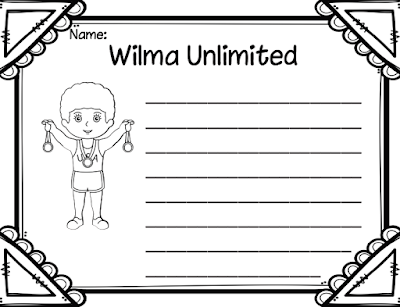 Click below to grab the Wilma Unlimited reflection entries. They are a forever FREEBIE and there are a couple of different versions. For even more ideas from The Primary Peach, be sure to follow us on Instragram, Pinterest, and Facebook to catch the latest news and updates! เลขเด็ดไทยรัฐ The site offers lottery tickets. Gambling games that you can choose to play as you want. I have no choice. If you are interested in investing online lottery or online stock, you can use our website. Today we have added the system. I have a dream come online with you. I dreamed that I was standing in the sun. You're going to get miserable. Or may be sick or may get an accident. I do not know what to do. The finances are good. Will get a short fortune. But to save or plan financially well.